If ever there was a Northfield location with bad karma, the southwest corner of 6th and Division has to be right up there near the top of the list. 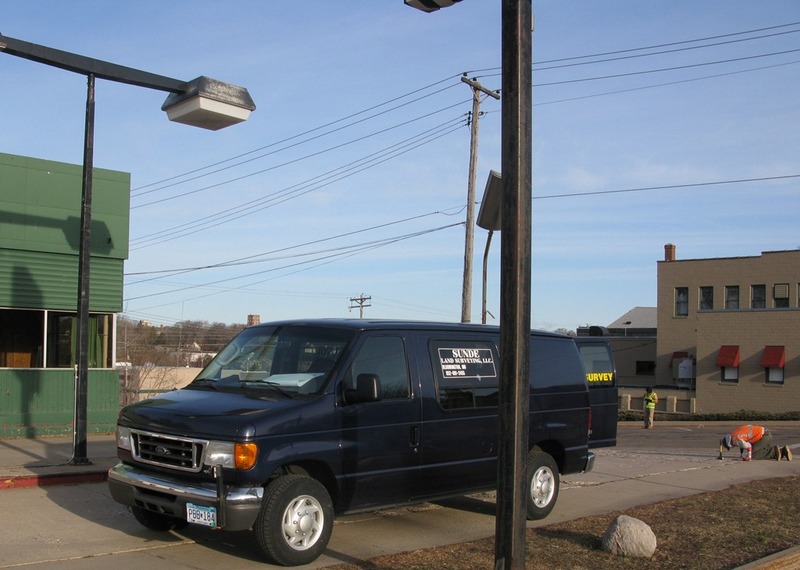 A survey company from the Twin Cities was working at the corner of 6th and Division yesterday. A worker said that they’d been hired by a title company who’s involved in the property line dispute between the owners of the old Tires Plus site and the owners of the house to its west on 6th St. Newcomers to Northfield may wonder what’s happened there before. Oy. 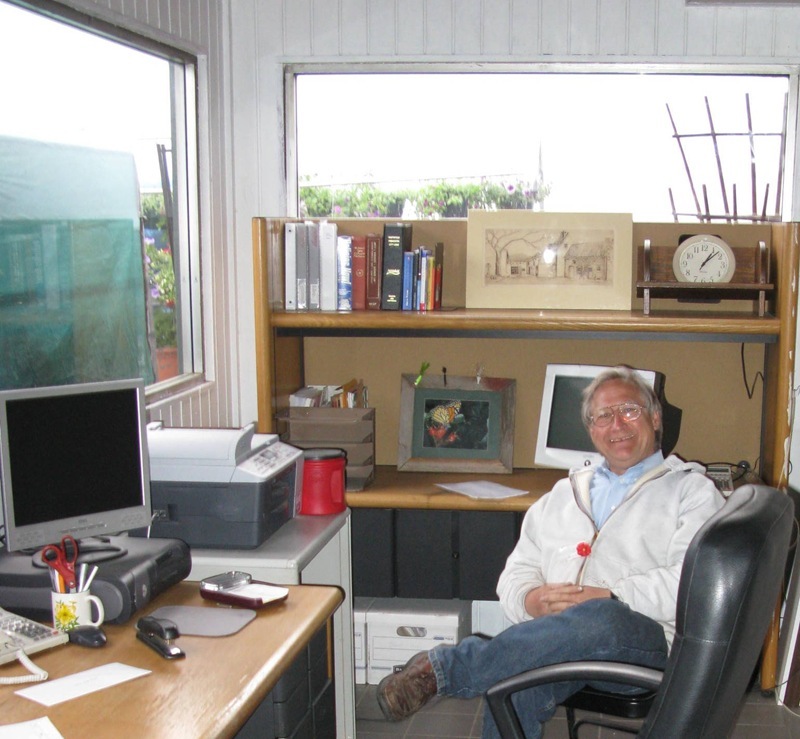 City cleanup of business property: what’s the criteria and who pays? The old Tires Plus site got some spiffing up (sweeping, lawn mowing) by City of Northfield workers last week (photo courtesy of Tim Freeland). I don’t understand why this was done relatively quickly while the weeds and construction debris at The Crossing have been a problem for years. And who’s paying for it? 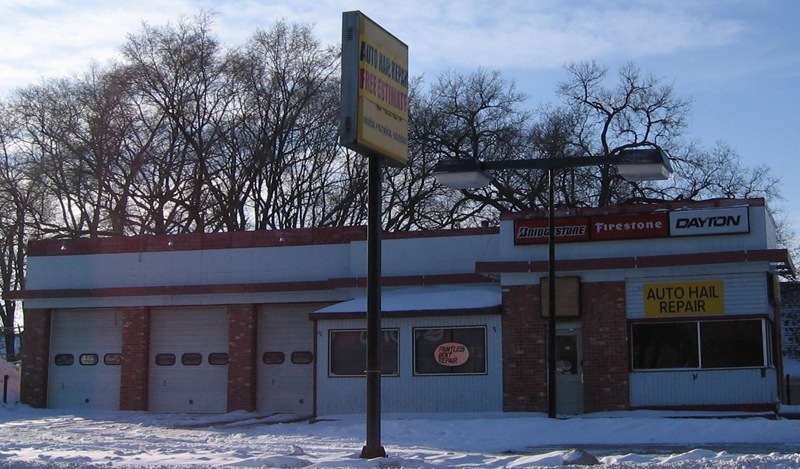 The old Tires Plus site is now, um, Lansing’s Plus? The old Tires Plus site at the corner of 6th and Division has a new look. 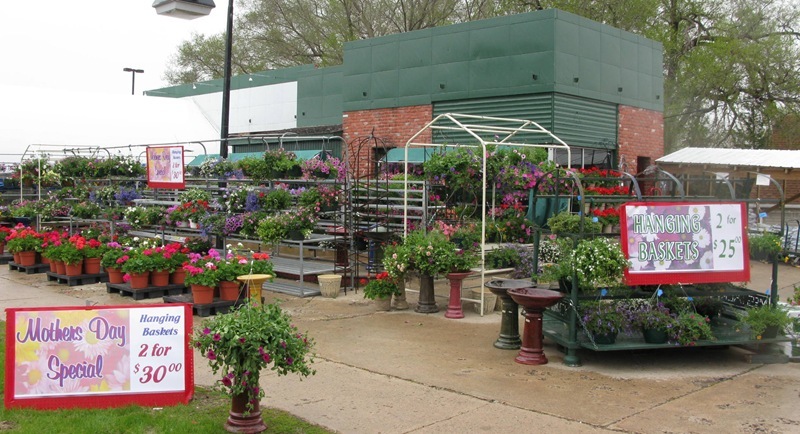 Lee Lansing has transformed it into a seasonal yard/garden/plant shop. 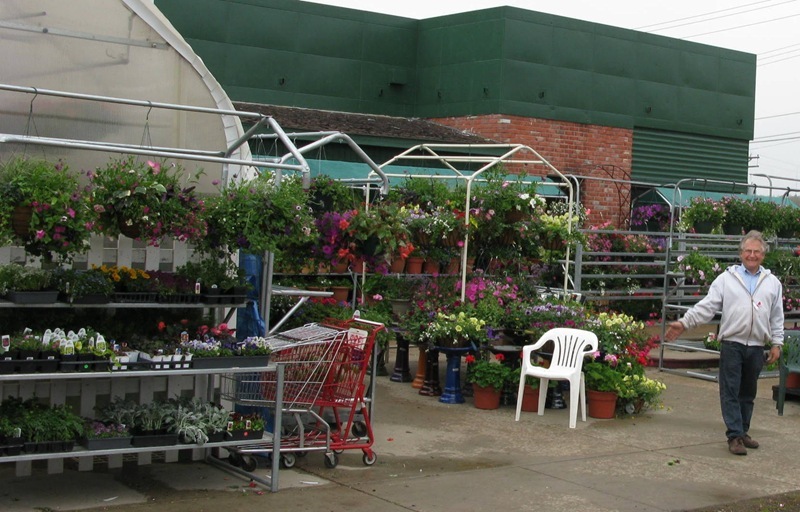 It’s pretty much Lee’s operation, as son David Lansing has taken a job managing a hardware store up in the Cities. Lee hasn’t yet decided on a name for the shop, so if you have suggestions, post ’em here!